You love breathtaking scenery: Sure, this may sound like a no-brainer, but when I say the scenery is beautiful, I mean it’s BEAUTIFUL! In my humble opinion, there’s nothing like it in Hawaii. When you drive the road to Hana, you’re surrounded by lush rainforest, scenic vistas, and extraordinary waterfalls in all directions. For many visitors, the scenery feels exactly like they imagined Hawaii. Six-hundred waterfalls and 50+ bridges await! You enjoy a long drive: For many visitors, a nice, long drive is the perfect Hawaii activity. After all, you don’t have anywhere you need to be, right? If you enjoy a long, scenic, relaxing drive in paradise, this is the drive for you. You want to visit some of Maui’s most incredible sites: The only way to see sites like the Oheo Gulch is by driving the road to Hana. So, if you’re set on visiting some of the remote sites and towns on Maui, the road is your only option. You are a shutterbug: If you’ve always dreamed of taking photos that feature incredible scenery, you won’t find a better experience than the road to Hana. Honestly, even for those of you who don’t have the fancy camera, the scenery is so picturesque, it won’t even matter. 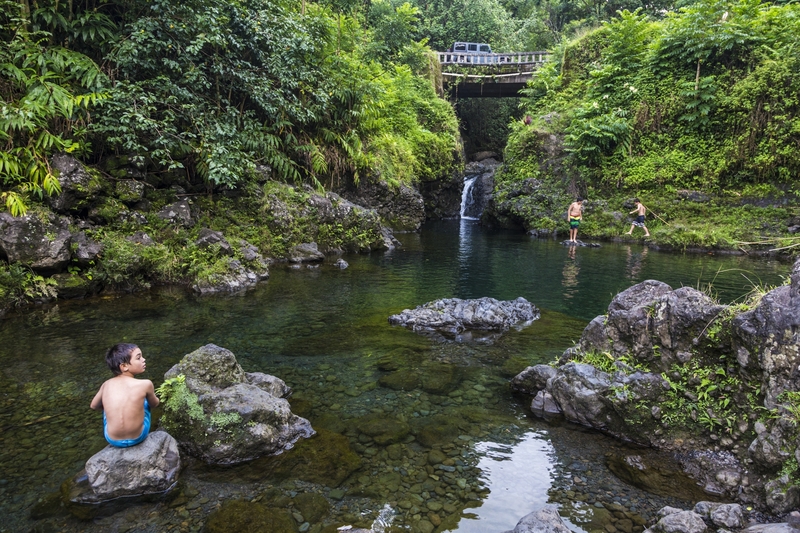 There are plenty of scenic waterfalls and othe pit stops along the Road to Hana's 64 miles. You love a good hike: Some of the most spectacular hiking can be found off the road to Hana, and you won’t find more amazing picnic sites. When you book a Maui Hiking Tour through Hawaii Aloha Travel, one option is an 11-hour hiking trip which includes a drive on the raod to Hana. It’s a great option for adventure-seekers who have time to spare. You suffer from motion sickness: If you get motion sickness, this is a trip you will, unfortunately, need to avoid (unless you’re medicated). The road is incredibly windy and has lots of turns. It also requires frequent stops, either to get-out and explore or due to traffic. For those who experience motion sickness, that combination can turn-out to be quite uncomfortable. To avoid as much traffic as possible, plan to hit the Road to Hana early in the morning. You’re annoyed by traffic: Depending on how early you start, you may or may not encounter a lot of traffic. Generally speaking, 7 a.m. is the very latest to start the journey and one reason is due to traffic. Your enjoyment, or lack-there-of, can be determined by how you deal with traffic on the highway. You don’t have a lot of time: There is so much to see on the Hana Highway, in Hana, at the Oheo Gulch, and beyond to Upcountry Maui that a single day cannot encompass everything. You might feel rushed if you do the drive in one day, and nighttime driving is NOT an option. You don’t want to make the drive twice: Many car rental companies technically prohibit the south east drive, plus, the road can often close due to rock slides. That means you may need to turn around and make the drive back. You don’t want to stop: There’s really no point in driving the road to Hana if you don’t plan to stop and explore. You’ll find tons of places to get out for a nice hike or picnic. So, if you’re the type that likes to get where you’re going fast, this drive isn’t for you. 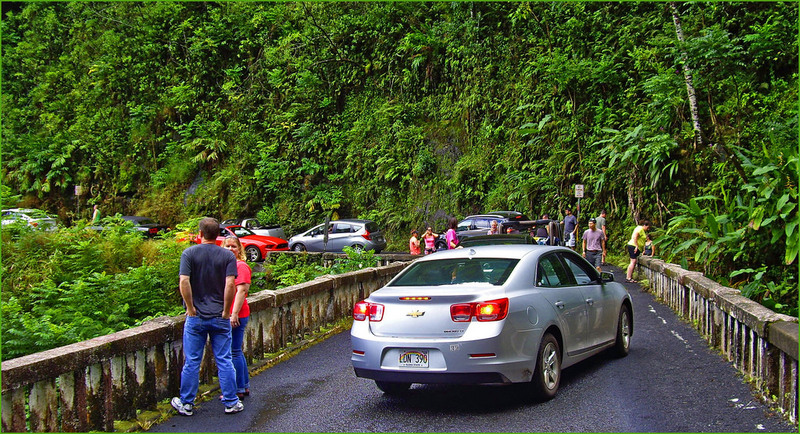 If you’re considering driving the road to Hana, make sure you know what to expect. So, consider using our pros and cons list when planning your next Maui vacation!